Fast drying & perfect shine. I love this stuff. I actually used it over Nail Tek #2 instead of a regular polish. I just pryed my acrylics off so my nails needed some TLC. It gave my nails the best, wet looking shine, I can't stop looking at my hands. They dried very quick & I've had it on for 4 days with no chips. No pic because my nails are tore up but it does look just like a gel top coat. This is one of the best top coats I've come across! 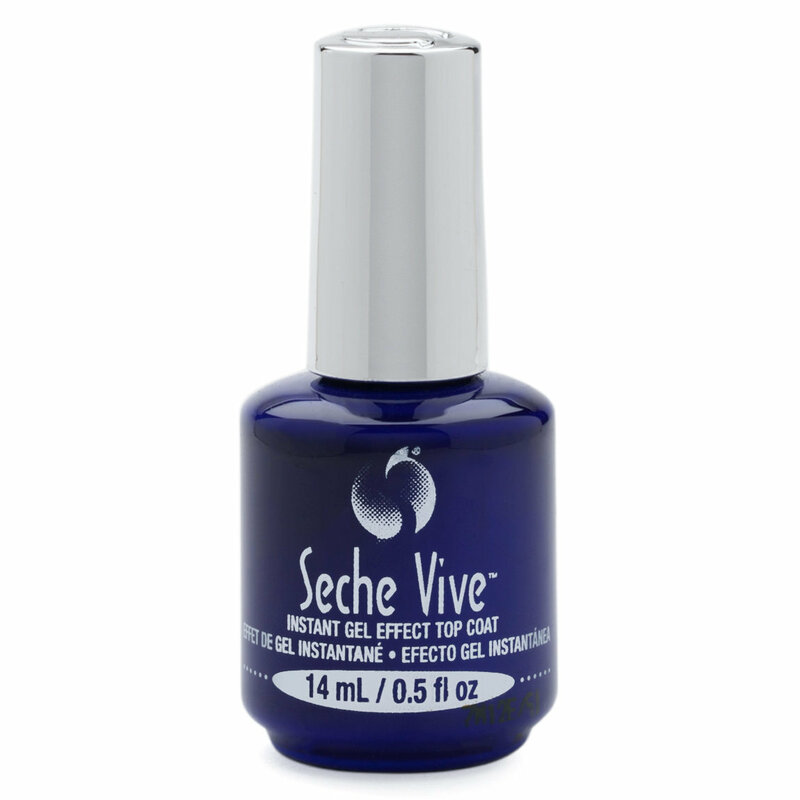 Has a thinner consistency compared to the Vite Dry Fast Top Coat, but a similar strong chemical scent. The scent is temporary, and the long-lasting protection makes it worth it to endure. Dries super quickly (after I finish applying my second hand, my first hand is usually set). And of course it leaves a high-shine finish. It pairs perfectly with Smith & Cult polishes since they also dry super fast for an easy at-home manicure. This is the best top coat I've ever tried. It dries ridiculously fast and hardens to a shiny finish. I wouldn't say it gives the same effect as getting a gel manicure but it's PRETTY CLOSE. Really solid top coat, definitely give it a try! I do a lot of housework, I have four daughters and I do their hair daily and my (at home) manicure lasted a week That’s huge for me because even if I get my nails done professionally, at most my manicure will last, at best, 4 days. I love this! Def a staple in my collection.